John Hinckley Jr. posed for the above FBI mug shot on March 30, 1981--hours after his attempt to assassinate President Ronald Reagan. 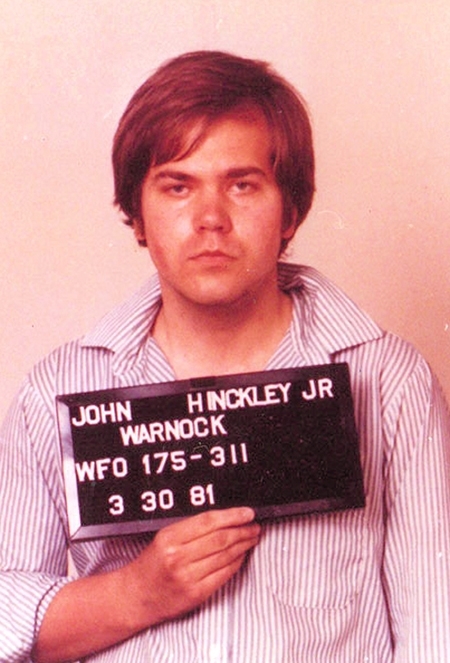 Hinckley, 26 at the time, wounded three people in addition to President Reagan and was found not guilty by reason of insanity after a trial. He has been living at St Elizabeths Hospital in Washington, D.C. since 1982.